There is a very real possibility that Virginia’s top three officials — all of them Democrats — could be forced to resign over various scandals. That would leave the state’s House Speaker Kirk Cox, a Republican, in charge. In itself, that would be interesting but not remarkable. What is remarkable is how Cox got elected: Because the race in Virginia’s 94th district ended up tied, the GOP candidate won by drawing lots. And a WhoWhatWhy investigation showed that voter suppression played an important role in that race — and could now be the reason why Democrats could lose a governorship in a crucial swing state. 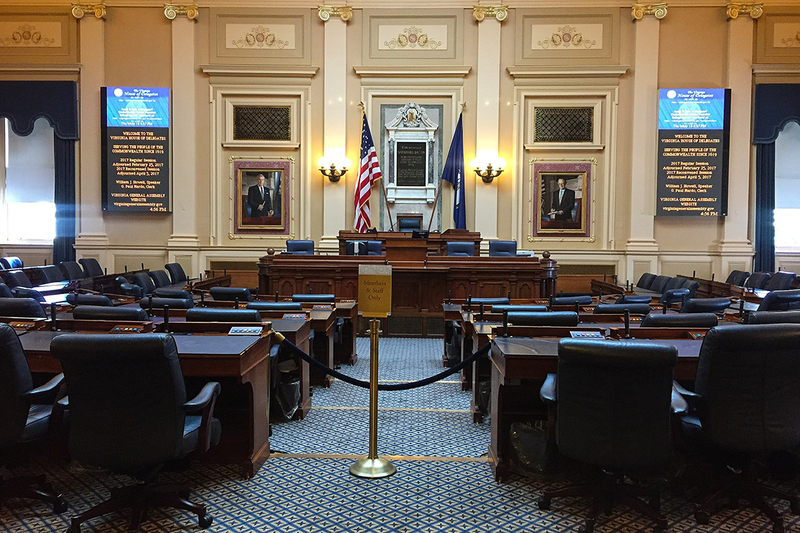 Control of Virginia’s House of Delegates hung in the balance for two excruciating months following last year’s election. It all came down to the 94th district and a race that could not have been tighter. Following recounts and legal challenges, both candidates had the exact same number of votes. In the end, Republican David Yancey prevailed in a drawing of lots and the GOP retained its majority. This election is held up as an example of why voting matters. After all, any additional Democrat who had voted that day would have changed the outcome. But few seem to have focused on a more controversial and perhaps essential issue: how election laws and voter suppression can determine who wins. As it probably did in this case. A WhoWhatWhy investigation has found specific and systemic problems in an election last year — which could have altered the outcome, and changed which party is in control in Virginia. Related: Will Republicans Counter Millennial Protests with New Voter Suppression Laws? The state of Virginia allows residents to register to vote at the Department of Motor Vehicles (DMV). This is typically a convenience for most voters. But in the case of students, who may be away at college, transacting with their local DMV could default their registration to their home district rather than the district where they live, go to school — and want to vote. Such was the case for at least one Christopher Newport University (CNU) student. “The reason my provisional ballot wasn’t counted was that my address was counted as [being in] a different district,” Amy Byer, a sophomore at CNU at the time, told WhoWhatWhy. Byer went to an attorney’s office and signed a form indicating that she lived in the 94th district, intended to vote for Democrat Shelly Simonds, and hadn’t voted anywhere else. But voting records indicated that Byer lived in another district and her tie-breaking vote was not counted. Lewis added that some CNU students registered through a third party group in Newport News but would later complete a second registration with a different address, e.g. that of their parents. Lewis recommended that students confirm their registration with the Department of Elections in time. 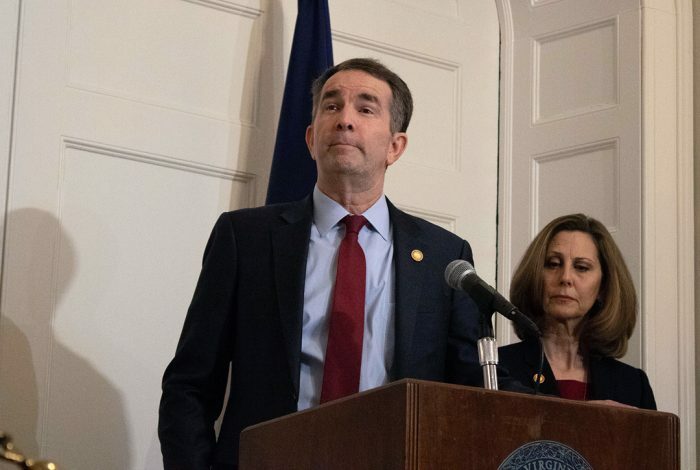 Simonds spoke to WhoWhatWhy at length about the election and potential problems that might have cost her the victory — and denied Democrats the majority in Virginia’s House of Delegates. One major issue she pointed out is that absentee ballots in Virginia are not counted if they don’t arrive by 5:00 p.m. on Election Day, so ballots that arrive later are rejected. This is especially problematic for military personnel or people who are unaware of this law. “I believe there were tens if not hundreds of [absentee] ballots that arrived late, that could have determined the election,” said Simonds. Laws in Virginia rendered many absentee ballots useless. If elected to the General Assembly, Simonds would like to introduce legislation that would mandate that all late-arriving absentee ballots must be kept in the event of a recount and count toward the initial vote. She also would like to continue to study issues around elections in Virginia. Another problem recently uncovered was that 26 voters from a predominantly African American neighborhood in the 94th district were assigned to the wrong district. In a race that came down to one vote, votes from this heavily Democratic-leaning neighborhood would also have changed the outcome of the race. WhoWhatWhy’s investigation into Virginia’s election also uncovered other problems throughout the state. Some registered voters, like Jasmine McWarren, said they didn’t get to vote due to an issue with what district they were registered in. “I went to my usual polling center, but they told me I wasn’t able to vote there because my address had been changed,” McWarren told WhoWhatWhy. She was told that since her address on file was for Hampton, voting provisionally in Norfolk would not count and that she had to go to Hampton to cast her vote. Since Norfolk is a 30-minute drive from Hampton, McWarren risked not making it to work on time if she insisted on voting provisionally. She accepted that she would not be able to vote, which deeply bothered her. McWarren also learned that her voting registration had other inaccuracies. She was listed as an inactive voter since 2012, even though she had voted in 2016. Others faced great obstacles that no registered voter would expect. One family had an especially hard time voting in the highly competitive delegate race last year. Monica Hutchinson, an organizer for New Virginia Majority, a grassroots civic engagement and advocacy organization, recounted the tumultuous experience of helping her grandmother vote. “My grandmother goes in to vote and they tell her that she’s not registered,” said Hutchinson. She recalled having registered her grandmother several months prior, and thought it was a mistake that a provisional ballot would fix. But poll workers refused to give Hutchinson a provisional ballot for her grandmother, stating that she had to use her former polling facility, which was more than three hours away. Given Hutchinson’s background as an organizer, she knew this wasn’t right and pushed the matter. An election coordinator called the registrar’s office; Hutchinson was told that she “could probably be given a provisional ballot but that her vote likely wouldn’t count” or make a difference. “It was extremely important that she vote. 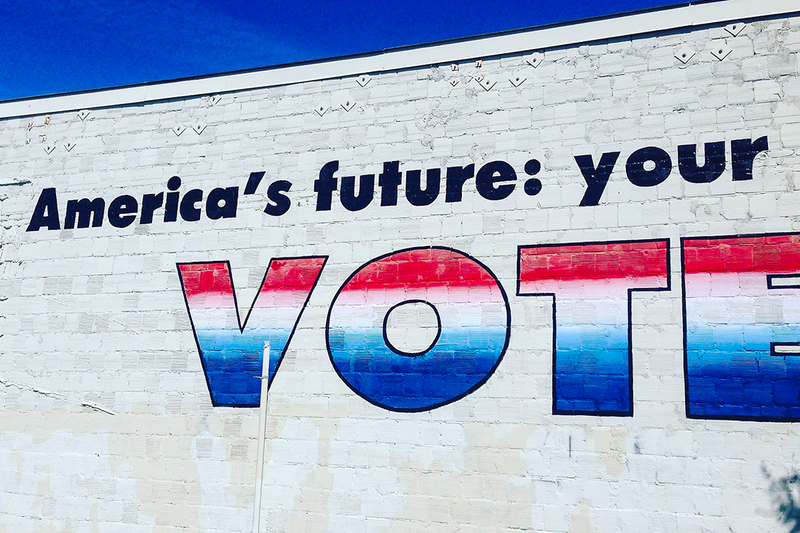 My grandmother is an 88-year-old black woman — she remembers when she couldn’t [vote]. Every year that she votes it’s extremely important to her,” Hutchinson said. Only when Hutchinson’s mother called Hanover Democrats, a committee for electing Democrats, who then summoned their lawyers, did poll workers reluctantly hand out the provisional ballot. Hutchinson said they first told her grandmother repeatedly that her vote would not count and told the octogenarian, who has trouble walking, that she would have to stand in the registrar’s office while waiting. The police were called but did nothing to intervene in the situation. Not everyone is as familiar with voting law and procedures or can be expected to call an attorney in order to get a ballot. There is also the case of Lynne Wright, a Staunton, VA, resident who was eligible to vote but was also initially turned away. When she showed up at her polling place early in the morning she was told that she could not vote because the voting machines were down. At that time, she and others at the polling place should have been given a provisional ballot — but that did not happen. While Wright was eventually able to vote, she says at least 10 people were turned away because a poll worker refused or didn’t know to give them a provisional ballot. What started as a mechanical error became voter disenfranchisement. These examples show there were several cases of eligible people being turned away. Only those who persisted and knew the law were allowed to vote. As Wright’s story shows, we will never know how many eligible voters went to the polls and still were not able to cast a ballot. There were other problems, Simonds — the Democratic candidate —recounted. “When we were chasing the provisional ballots, we found a number of issues for why people were not able to vote. One woman was disabled and filled out her absentee ballot wrong.” Simonds said, in reference to an elderly woman who was losing her sight and put her signature in the wrong place. But Simonds noted that there was more at play than a mere lack of reasonable accommodation for disabled voters. Virginia is one of 14 states in which new voter restriction laws have been introduced since 2016, essentially denying tens of thousands of voters their right to vote. The GOP retained control over the Virginia House of Delegates after David Yancey won the 94th district. Systemic issues and reinstatement of felons’ voting rights played a part in this race and will continue to affect election outcomes. About 42,000 felons had their rights restored and registered in time for the 2017 delegates race. But in a race with a voter turnout of around 24,000, like that in the 94th District, it begs the question of what obstacles there might be for formerly disenfranchised felons to vote. Paul Woodell, a convicted felon, spent three decades trying to get back his right to vote. Prior to Governor Terry McAuliffe (D) streamlining the voting restoration process in 2016, convicted felons faced an uphill battle for the right to vote, and they still do. “In Virginia, up until very recently, [felons] weren’t getting their rights automatically restored, so there are probably lots of people who didn’t hear about what the governor did and don’t even know that they can vote. Because in the past they weren’t able to,” said Sean Morales-Doyle, a voting rights lawyer and counsel for the Brennan Center for Justice Democracy Program. While there was no evidence of voter intimidation practices in the 2017 delegates race, Morales-Doyle says “scare tactics” have been used in the past among populations of returning felons that dissuade them from voting. “The Brennan Center for Justice has documented instances where people have been given false information about voting in ways that target people who might have concerns about interacting with the criminal justice system,” said Morales-Doyle. People have been told there would be police waiting at the polls —arresting those who had outstanding parking tickets, for example. Morales-Doyle thinks the heart of voter suppression lies in what policies are in place (or the lack thereof) and cites Virginia’s lack of automatic voter registration as an obstacle. 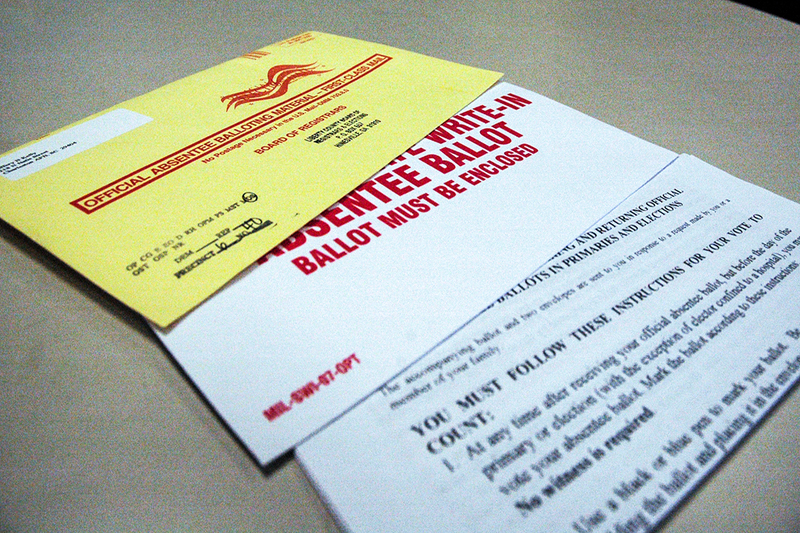 Related: Automatic Voter Registration: One Antidote to Voter Suppression? “Automatic voter registration flips the presumption of whether or not you will be registered to vote when you’re at the DMV,” said Morales-Doyle. He notes that this subtle shift has had a significant impact on the number of people getting registered. Virginia has yet to put automatic voter registration into effect, although many neighboring states, such as West Virginia and Maryland, have. Not having election day or same-day registration in place is yet another way voting is made more difficult in Virginia. The “voter purges” — described by Simonds — that are meant to remove deceased voters from the rolls or prevents people from voting twice can result in someone being removed who has the same name and/or birthday as someone in another state in the event that either resident moves. Without same-day registration, there is no way to immediately remedy the issue of accidental voter purges and to allow someone to cast their vote without voting provisionally. All of these cases across Virginia, especially in the 94th District, show that the state’s elections are still plagued by a variety of problems that suppress votes and disenfranchise eligible voters. In the 94th District, where every single vote made a difference, an election free from these problems would have changed the outcome and given control of the House of Delegates to the Democrats. If Americans need a reminder ahead of the midterms that they should exercise their right to vote — and to demand that their elected officials stop weaponizing elections for partisan purposes — then this is it. Correction notice, 6/7/18, 11:08 pm: An earlier version of this article referred to Jasmine McWarren’s first name as Jessica. We regret the error. Related front page panorama photo credit: Adapted by WhoWhatWhy from Ralph Northam (Craig / Flickr – CC BY 2.0), Justin Fairfax (VCU Capital News Service / Flickr – CC BY-NC 2.0), and Mark Herring (VCU Capital News Service / Flickr – CC BY-NC 2.0).